This level is easy and you need to follow simple steps to reach requirement for this level first try to play on center near to grill boxes to break them. 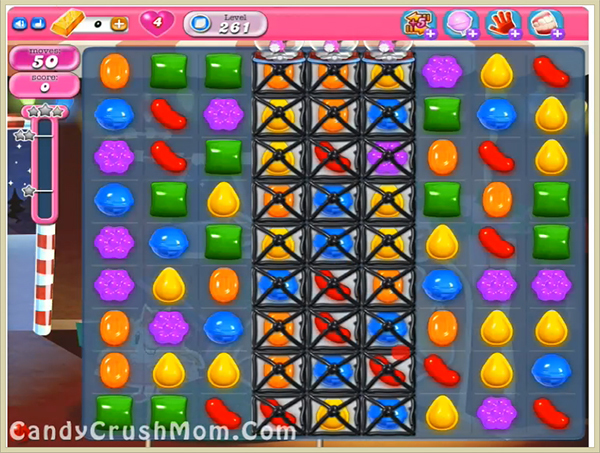 You need to make special combos like colorbomb with striped candy to easily break all jellies within 50 moves. You could use lollipop hammer booster to break remaining jellies and first try to break top jellies as they are hard to break later. We completed this level with 164040 score using special candies that help to break all jellies and got two star score at the end of the level.